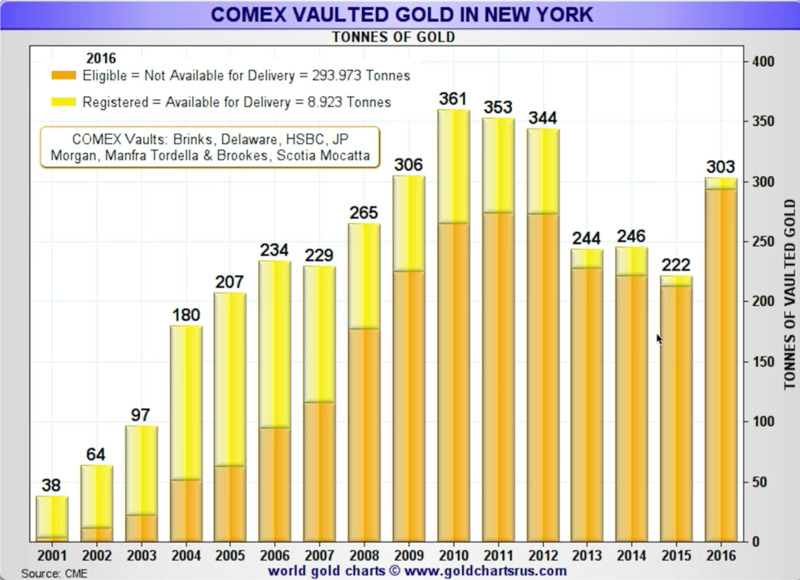 While researching the current state of the gold market for an upcoming presentation, Mike Maloney came across some fascinating data - the 'Registered' gold stored in COMEX vaults has practically vanished. Mike's new presentation will be available in the coming weeks, stay tuned for details. The chart details the recent decline in COMEX-registered gold that is available for sale. The trend shows that more and more people are holding gold and unwilling to sell at the current price. Are you buying or selling gold right now? Tell us in the comments what price you’d sell your gold for!